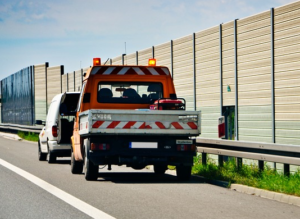 Tow Truck Aurora is the top towing and roadside assistance service company in eastern Denver, CO. We assist you when you need us most – 24 hours, 7 days a week – and we deliver fast and reliable service and affordable towing rates. Rest assured, each of our tow truck operators and roadside technicians is licensed, insured, and thoroughly trained to successfully handle any type of situation on the road, roadside, in parking lots, driveways, ditches and anywhere else their professional assistance is needed. Need a tow? Call us right now for 24-hour emergency towing and free estimates. We provide service throughout Aurora and surrounding towns and cities, including Greenwood Village, Centennial, Foxfield, Parker, Watkins, Bennett, and Strasburg. Our goal is to assist you as quickly as possible. We promise that when you call Tow Truck Aurora, you become our top priority. No matter your location in the eastern Denver suburbs, we will strive to get to you in 30 minutes or less – or faster than a pizza delivery from Papa John’s. We provide the widest range of towing services this side of the mighty Mississippi. The best part about it is our rates are awfully affordable, our dispatchers and tow truck drivers are extremely friendly (you’ll want to invite them over for a round of Coors Light), and our service is reliable and dependable. We’re not like most towing companies. We’re responsive. We answer your calls and emails. We don’t leave you stranded. Did we mention that we also offer a full menu of roadside assistance options for you. We’re a 24/7 tow truck company, after all. We take roadside assistance calls very seriously. We understand that you could be in danger, afraid, and possibly stranded in extreme weather (you know how it is living in the Rockies). No worries. We’re here for you. Our skilled and experienced roadside technicians are ready to help you no matter what the situation. Why choose Tow Truck Aurora? We don’t like to use the word cheap, but we offer some of the lowest towing rates in all of Colorado. If you like the green stuff in your wallet and your bank account, we recommended calling us for prices you – and everyone one of your neighbors in Aurora – can afford. When you call a towing company, you want an immediate response and fast service. We get it. It’s what our business is built on. The quicker we are, the happier you are. We’re also flexible. That means we work around your schedule for towing that doesn’t require immediate assistance, such as flatbed and long-distance towing. Call us right now. We operate 24 hours a day and never take a day off. That means we’re working Thanksgiving, Christmas, Easter, Independence Day, and Kwanza. If you need a tow, we’ll be there – no matter if you’re in the middle of nowhere in a driving snowstorm or if your car has stalled on the freeway. We don’t like to brag, but facts are facts. No other tow truck company in the Denver area provides more value than we do in terms of affordable and upfront pricing, and fast, reliable, and friendly service. Sure, some of our towing competitors might have okay reviews on Yelp, Google, Facebook, and Manta. But they just don’t match up to Tow Truck Aurora and what we do for our customers. What are you waiting for?! That car isn’t going to tow itself. Call Tow Truck Aurora now or anytime for licensed and insured towing and roadside assistance service in eastern Denver. If you ever lose our phone number, simply log onto your favorite internet search engine and type in “tow truck near me” or “best towing nearby.” We’re happy to assist you and look forward to meeting you. Needing a tow or roadside assistance is frustrating and worrisome enough. Then add in the cost of having your vehicle towed, and you’re bound to go nuts. Take a deep breath and relax. Tow Truck Aurora is here for you. We deliver fast and reliable service that is also affordable and won’t break the bank. 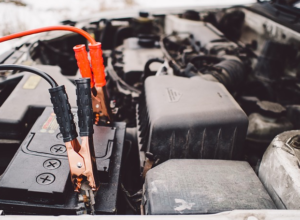 While every situation is different and it is impossible to give an accurate estimate with more information, we promise to only charge you rates that are fair and reasonable. Most of all, we guarantee you will be satisfied with the value of our service. Give us a call today for 24-hour emergency towing and roadside assistance or for a free quote. Being stranded roadside can be very dangerous – no matter if you’re on a busy expressway or interstate during rush hour, or on back country road in the middle of the night. You never know what’s lurking behind the next corner. That’s why it is important to be careful, remain calm, and take all precautions to keep you, your passengers, and everyone one around you safe.